IILM has a culture of its own, which is inculcated in student’s right from the onset of the course. The course curriculum is well designed, planned and executed. The faculty is always focusing with guidance and support, pushing students to perform their best. Optimum stress is given on class room learning as well as self learning through the various assignments and projects. IILM certainly is a platform for global learning. 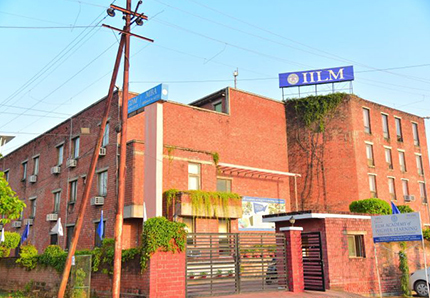 The PGDM program at IILM Lucknow is the top most comprehensive and enriching Post Graduate Program. The program is flexible in terms of allowing students to choose their own goals and academic milestones, yet maintain the rigor at the institution of this nature. IILM is the home to rich culture diversity. Students from all type of background’s study here. The atmosphere and value and increases our knowledge base tremendously. For students who want to pursue a real world and effective management course, I recommended IILM-AHL’S PGDM Programme as one of the best option to fulfill their dreams. College life is completely new for me. Before joining IILM I was expecting complete transform- ations in my career and this is what I am getting from my college. IILM is helping me to groom myself and achieve my goal, aims and dreams. The learning in IILM is phenomenal and is enriching me both personally and professionally. I am proud to be an IILMian. I am also glad to be a SCOP member that has helped me to learn management. Also its wonderful to be mentored my such distinguished and senior teachers like Sachin sir. I feel wonderful after joining IILM. I have always been focused about my goals and as privations. It has been amazing experience till now as a student of PGDM at IILM. Along with academic, external and co-curricular activities are regularly organized which provide opportunities to show my talent and creativity. IILM helped me to recognize my true potential. I am happy to be part of IILM. I am especially delighted to be the mentee of Mr. Sachin Srivastava who is very senior and experienced teacher. An amazing place to learn where you get endless oppurtunities and endless possibilities.Tt has also taught me how to work effectively in conflicting situation. 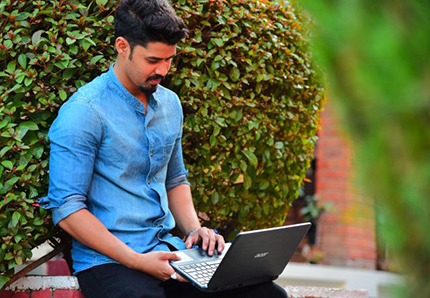 The college provided a platform for ectra curricular activities,personality development,industry exposure and a value system that every management student must have. All the faculty members, mentors and everyone in IILM family have been of great help and a strong support. The environment of IILM is very satisfying. The continuos evaluation method is also a reason which helps student work hard and with sincerity. The experience with IILM is very exciting and knowledge booster. My experience in this college till now has been amazing. The fun never sets in IILM. Apart from academic and industry exposure at the campus there are lot of activities hosted by the college that keeps us occupied. It nurtures academic diversity and provides a modern education platform. The excellent faculty memeber provide knowledge and skill sets required to become effective managers in global economy. IILM has helped me to grow and boost my confidence to a great extent. Faculty of this college have deep knowledge about the subjects and are always ready to help. IILM Academy of Higher Learning has prepared me well for my role in the professional corporate world. IILM focuses on using the lecture room as a laboratory for experiential learning and encourages student to understand the criticalities of tough corporate world with regular industrial exposure. I found a unique blend of excellence and commitment, great faculty, wonderfull ambience to learn. I would like to thank IILM for all the support and guidance provided to me. It is a great experience studying at IILM. The support of faculties and teachers has helped me to groom my knowledge and skills. This college provides a unique way to study the academics. It aso gives a large number of opportunities which would help in growth in future too. Joining Iilm was one of the best decisions taken by me so far. My experience in Iilm is more satisfying and happy than I had expected. The live projects I got through Iilm helped me to build high confidence and helped me to explore myself in the corporate world. The faculty is very Helping and Supportive in each and every direction be its studies or other Curricular activites. Give me some sunshine, Give me some rain, Give me another chance, I wanna grow up once again.” This line stood true and real when I came to Iilm. A great chance to explore myself. The very first day when I arrived at the campus, I was hoping that the upcoming days would illuminate my life. After spending six months, now I can confidently say that choosing Iilm was a good decision. Exploring things, Grooming myself and Overcoming the fears are some of the gifts given by Iilm to me. Iilm has been an awesome experience and a good choice for me as the college as given me good exposure of the industry. Iilm has helped me to Polish and Enhance my skills. The activites organized in the college help to develop Self-confidence and Leadership quality. 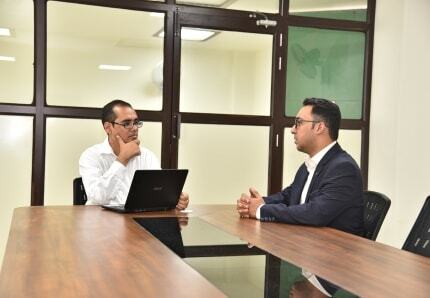 The faculty is supportive and helping and the Mentorship program keeps us linked to the faculty and the best part of the college is that we can reach out to any faculty anytime. The Iilm Academy of Higher Learning is wonderful institute and I realized this on my very first day. I have discovered something different everyday in myself and this is because of Iilm. Quality-rich educational program and activities which enhance the personality are the most important factors that all students appreciate at Iilm. I am glad that I took admission in Iilm. It has great testomonial and Excellent faculty. All the teachers are very Supportive, Encouraging and take great interest in the development of each and every student in all aspect. I have learnt a lot in a very short span of time. I will remember this college throughout my life for such a great experience. It has been amazing experience till now as a student of PGDM at Iilm. It is wonderful and I enjoy every single moment that I spend here. Iilm has helped me realize my true potential and has helped me to improve my professional and managerial skills. The facilities are Wonderful. The best part of Iilm is that we all are like a Family. Iilm has been one of the best decisions taken by me. Not just Academics,it enhances and appreciates every other talent I have within myself. Each and every faculty here is exceptional. 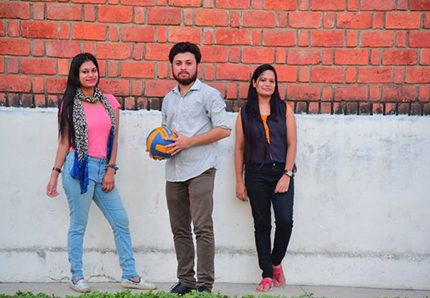 From extra-curricular activities to industry exposure,this campus has offered all. It is making me more confident day by day. I will always cherish the memories I have created at Iilm all my life. 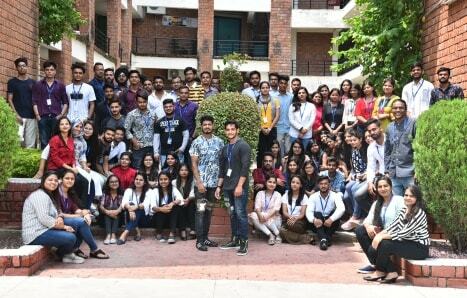 I thought doing PGDM would be just a course and nothing special but Iilm changed my thought process because of our involvement in every activity, having Mentorship sessions as well as the special attention given to every student. I was always focused about my goals but Iilm has provided me the right way to achieve it as Iilm gives vast number of Opportunities from Learning to Personal development. I feel glad that I am part of Iilm family. With full confidence I can say that Iilm Lucknow,has Enriched me by imparting Quality education in management. This Institue has helped me understand ,Explore and realise my true Potential and the corporate exposure has given a new horizon to my understanding of industry expectation. IILM, college that gives us innumerable opportunities to prove and develop our skills. We are set to live lifetime experience at the college and take with us truck loads of learnings on professional front that will prove very beneficial for us. The course structure of PGDM allows us to develop general understanding of all basics of business and allows us to develop experties in the sector we prefer the most. The curriculum is a perfect mix of theory, case study and project work, allowing us to get basic understanding of the subject, learn from case study examples and then finally apply it to the real time projects. 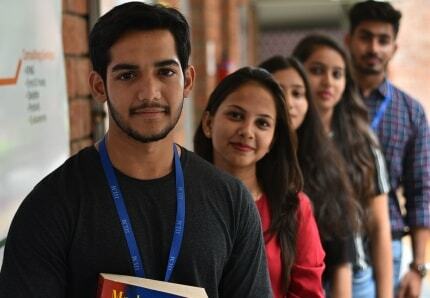 Finally the college really lives up to my expectations, unlimited opportunities in every field and lots of society and clubs to choose from and last but not the least, the placement opportunities are excellent. An investment in knowledge pays the best interest. Yes this line is very true when it comes to IILM. I made an investment and I am getting a very good interest. the changes in me after coming back are just amazing. The helping hands of the faculty members encourage all the students in an amazing way. Campus life is pretty fantastic. New experiences, knowing the better me is a good feeling. I came here with some goals and after spending 6 months I am very confident that if I continue to do my best, my goals will be achieved. This motivation power has come from IILM only.